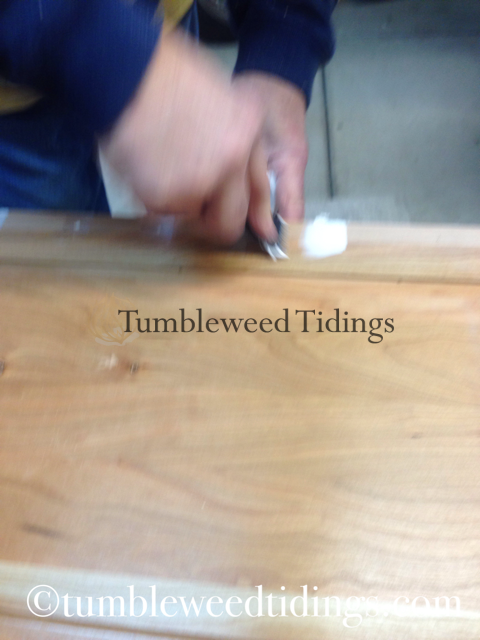 Greetings from Tumbleweed Tidings! Before I start making all of the side dishes for Thanksgiving tomorrow and prepare for my husband’s birthday dinner tonight (Happy Birthday, Jim!!!) I wanted to share a simple DIY that Jim and did over the last few days. I have not been a very diligent blogger of late, but in my defense, I have a good reason. 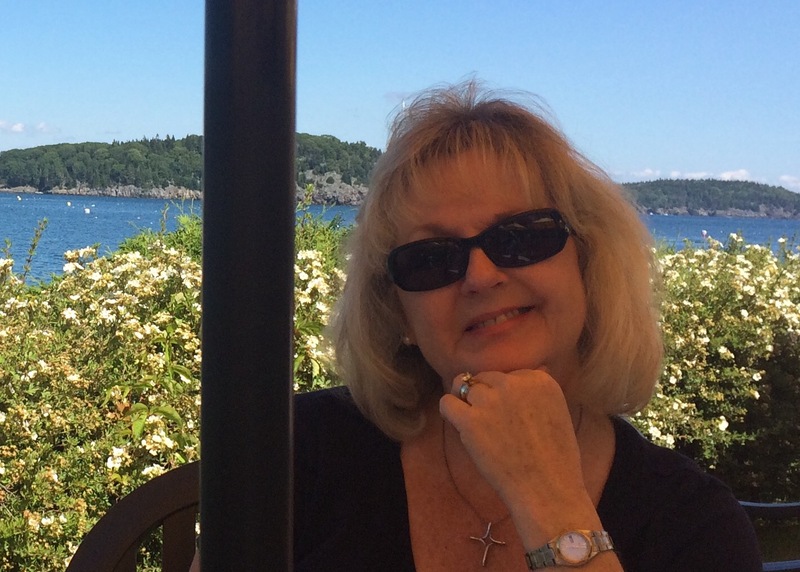 In my last post, To Move or Not to Move, that is the Question (here To Move or Not to Move, That is the Question&#8230;), I referred to some home improvements that were going on in our home. So, last week, while we were in Disneyland, our tile floors were demolished and our new French Oak hardwoods were installed. We arrived home on Sunday night to the entire house covered in dust, the refrigerator, beverage cooler and dishwasher sitting in the living room, the washer and dryer in the garage, and no running water, due to them disconnecting the ice maker. One of the toilets was in a bathtub. We took one look around, dropped the suitcases, and walked back out the door to go get dinner somewhere. It was a MESS! There will be an upcoming post about how the floors and new fireplace look, once we get the house back to some semblance of order. In the meantime, I have an easy DIY that my husband and I did this weekend. When we purchased this house in 2007, it was eight years old. The kitchen had cherry cabinets that also included wood paneled side-by-side refrigerator doors. Very custom and very pretty. Flash forward a few years and the refrigerator died. We weren’t able to find a new model that could reuse the panels, so we went with a three-door stainless steel with the freezer on the bottom. Because the wood panels were so nice, we tucked them in the back of one of the coat closets and there they sat. And sat. And sat. When we were emptying all of the closets for the hardwood installation, guess what we found? Yup. Those cherry panels. I had just been to a couple of Christmas Open houses in our historic downtown area the week before and had admired the large wooden Welcome signs. They were around $80-100, and I just knew something like that would look great by our front door. In the end, they were a little farmhouse for our traditional home, so I didn’t purchase one. 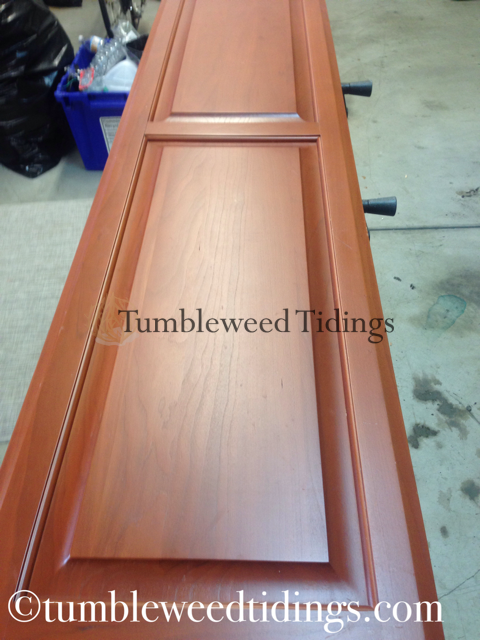 When we found those old panels lurking in the coat closet, I knew they would be perfect for a little DIY makeover. On one side of the sign, I knew I wanted it to say Welcome. But why stop at one side, when the board has two? On the flip side, I was going to put Joy, and use it during the holidays. While we were in Disneyland with our daughter Robyn and granddaughter Cassidy, I mentioned to Robyn what I had planned. She, in her infinite wisdom, said that she though Joy was too specific and could only be used for about a month a year. Instead, she recommended finding something that could be used more frequently. We killed time in line at Radiator Springs in Cars Land, (the BEST ride in California Adventure, by the way), discussing the pros and cons of various words to put on the flip side. Some were silly, some inappropriate, and some were just plain wrong. Gather? Better for a dining room. Aloha? We aren’t in Hawaii anymore. Howdy? Um, no. We finally landed on Cheers, and that seemed just right. It could be used almost any time we were entertaining, so, Cheers it is. The letters were purchased at Hobby Lobby. My husband Jim had drawn out the dimensions on AutoCad and determined that we needed 6” letters. I initially had wanted a script that was more traditional, but of course those were only available in 8” or 9”, so we settled on these more flowery letters. The signs we had seen in the shops were stenciled letters, but since we were free to make it our own, I preferred raised letters. 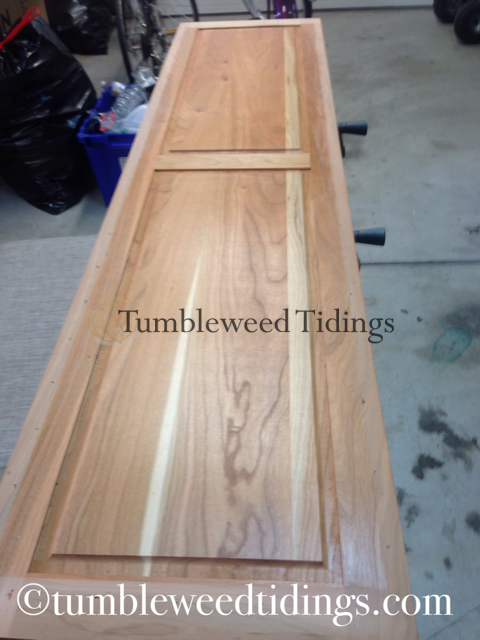 The next step was to remove the skirt that was around the panel. It was only attached with pin nails, so that was easy for Jim to do. 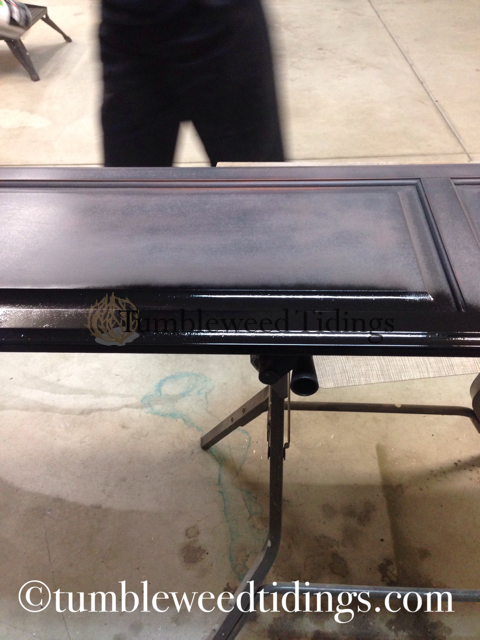 Next, we spray painted the front side black to match our front door, and the flip side was sprayed Heirloom White, just to give it a completely different look. To some, it probably seems like a sacrilege to paint over perfectly good cherry wood, but it just wasn’t the look we were going for. So, paint them, we did. 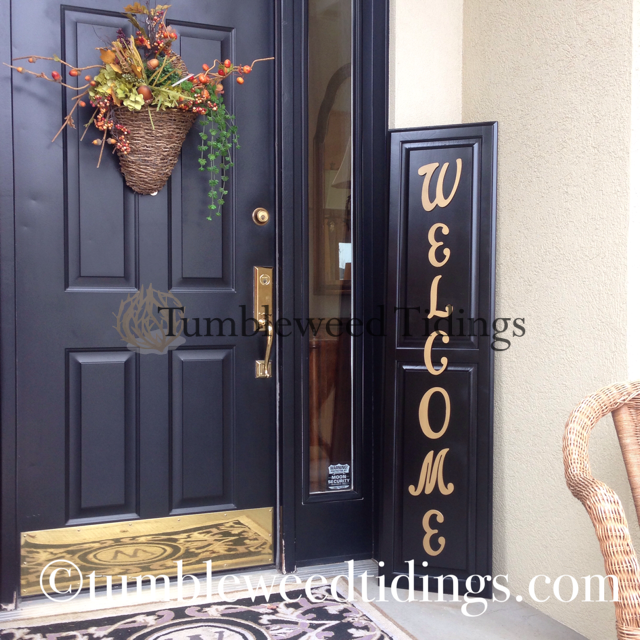 The Welcome letters were spray painted metallic brass to match the hardware on our front door. 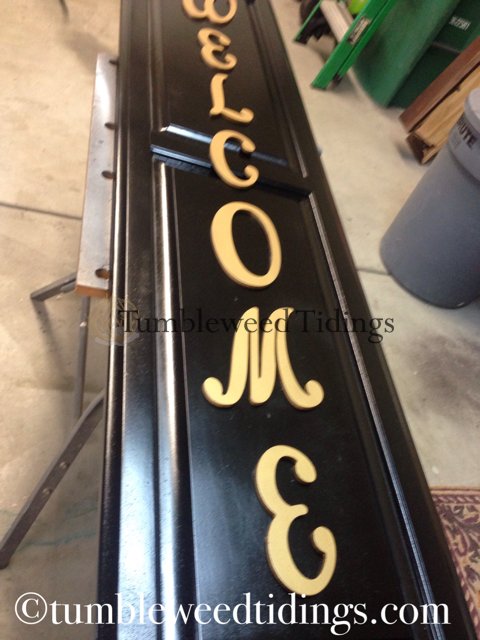 The Cheers letters were painted black to contrast with the cream, and again tie in with the front door. The letters were attached with wood glue and allowed to dry. 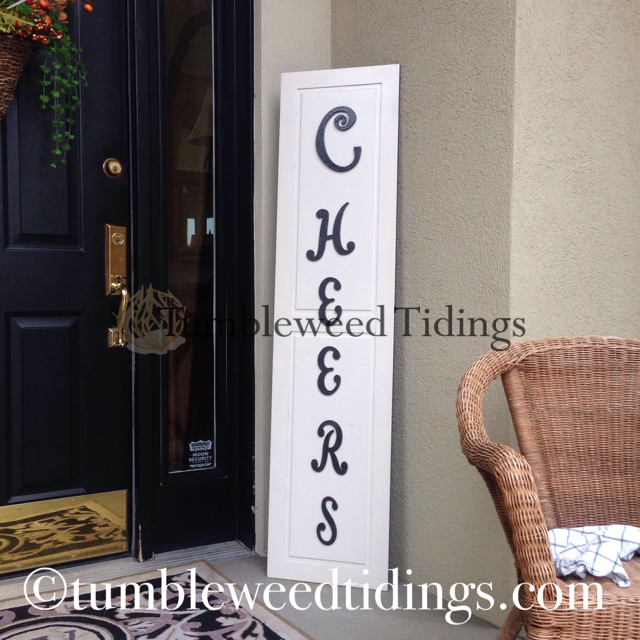 I just eyeballed the spacing of the letters and they are a little off on the Cheers side, but that’s just part of the DIY charm…right? 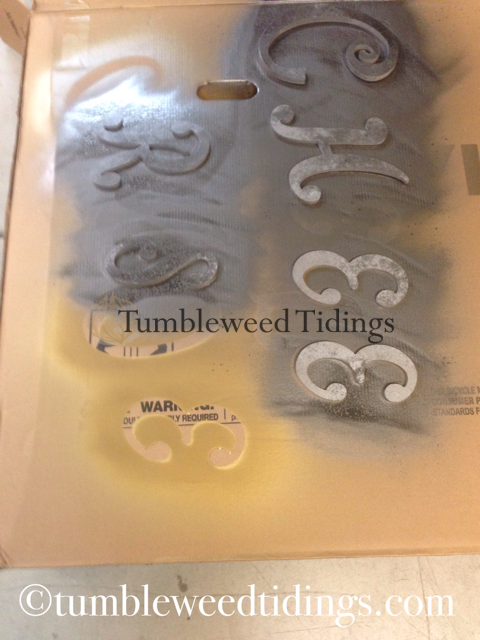 The whole project cost $2.49 per letter ($32.50 plus tax) and about $10 for spray paint and primer, as we had some on hand. 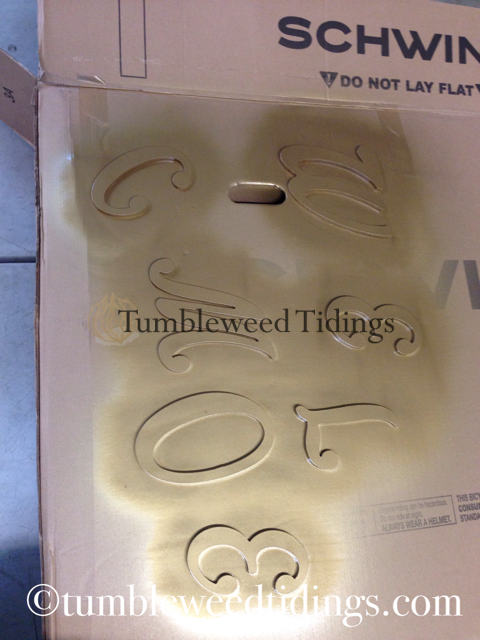 If you’re following the math, we got in essence, two signs for about $47.00! I would call that a good DIY and a “welcome” addition (pun intended😊) to our front porch. You may notice in the picture of the Cheers side that in addition to my spacing being a little off, there is a dust rag on the wicker chair from when I dusted the door before taking the picture. I wanted it to look nice for all of you! My husband is going to hang the sign on the wall near where I have them propped, using a hook at the top for easy rotation of the message, but I got a little over anxious to photograph them. Visiting open houses, craft stores, and home décor boutiques is a great way to find new items for your home, as well as inspiration for DIY projects. Sometimes, even though I might be able to make something similar, I support the local economy and just purchase the item on the spot. Other times, I am feeling crafty and will try to figure out a way to make it myself. Believe it or not, the perfect item for your next DIY might be in the scrap wood bin, along the side of the road, or even buried in the back of your coat closet. 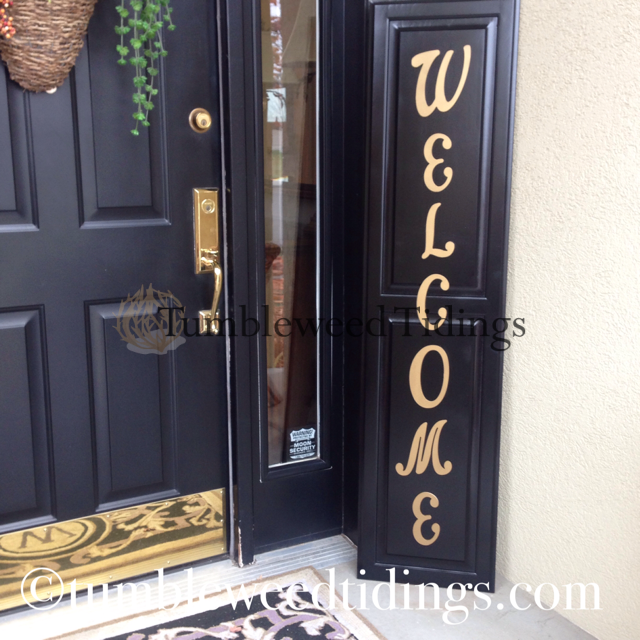 With a little paint and creativity, you too, can get the welcoming look for less. The only disagreements we ever have over any of her project is when she paints hardwoods. But the end product was worth me keeping my objections to myself. These are absolutely fabulous ! I wish I had looked at them closer yesterday. I just sat down too much. Thank you! We will get the sign hung by the front door this week.